Dr. Roger J. Packer is Senior Vice-President, Center for Neuroscience and Behavioral Medicine, Gilbert Distinguished Professor of Neurofibromatosis, and is Director of both the Gilbert Neurofibromatosis Institute and the Brain Tumor Institute of Children’s National Health System (CNHS), Washington, DC. Dr. Packer’s present academic titles include Professor of Neurology and Pediatrics at The George Washington University and Clinical Professor of Neurosurgery at the University of Virginia in Charlottesville, Virginia. Throughout his career, Dr. Packer has been heavily involved in clinical and applied basic science research. His clinical research has touched on various aspects of child neurology and neuro-oncology, including pediatric brain tumors, neurofibromatosis type 1, and the neurologic aspects of childhood neurogenetic diseases. His research has focused on the development and performance of clinical and translational trials for children with neurologic, neuro-oncologic, and neurogenetic disorders, and he has received peer-reviewed grant support for these efforts. Presently, Dr. Packer is principal investigator at CNHS for the Pediatric Brain Tumor Consortium (PBTC); Chair of the PBTC Low-Grade Glioma Committee; Principal Investigator (CNHS) of the Neurofibromatosis Clinical Trials Consortium; and Chair of the Medulloblastoma Committee of the Children’s Oncology Group. He is P.I. for CNHS NINDS-sponsored Neuro-NEXT Clinical Trials Consortium and Scientific Director of the NBTS-sponsored Defeat Pediatric Brain Tumor Consortium. 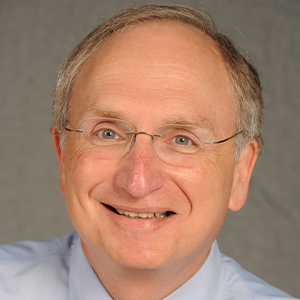 He has worked closely with the NCI and NINDS, and has served on multiple committees setting the directions for neurologic clinical and basic science research for the future. The majority of the studies now being coordinated by Dr. Packer are evaluating innovative agents aimed at the molecular underpinnings of neurologic disease. He has published over 350 original articles and 300 reviews and chapters.